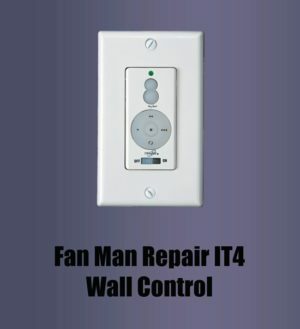 Fan Man Repair’s Advan-Touch, as well as Intelli- and Comfort-Touch replacement fan control, replaces Casablanca Advan-Touch remote control, and also replaces Casablanca W-32, W-33 & W-11 (W32 & W11) Switches as part of Fan Man Repair’s IT4 Intelli-Touch Conversion System Fan Control. 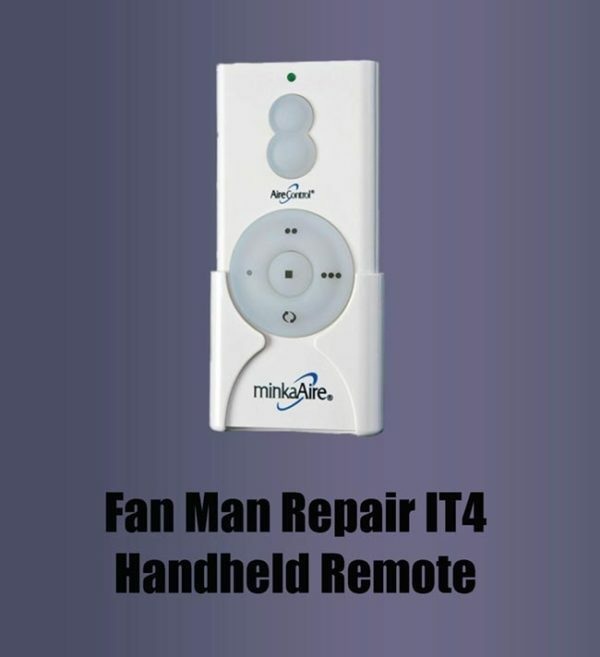 Control your Casablanca Intelli-Touch, Advan-Touch and Comfort-Touch fan that uses the Fan Man IT4 board, from your convenient handheld remote control. Can be used combination with IT4 Wall Control and IT4 Bluetooth fan control.